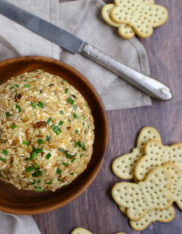 When I was a kid, my brother’s friend, Kenny, used to always bring his mom’s “Cheese Ball” to our Christmas Eve dinner. Then, as we grew older – and Kenny stopped coming to Christmas Eve – the Cheese Ball also stopped making an appearance. It was sad, cause it’s (by far) my favorite appetizer – and trust me, there are many. 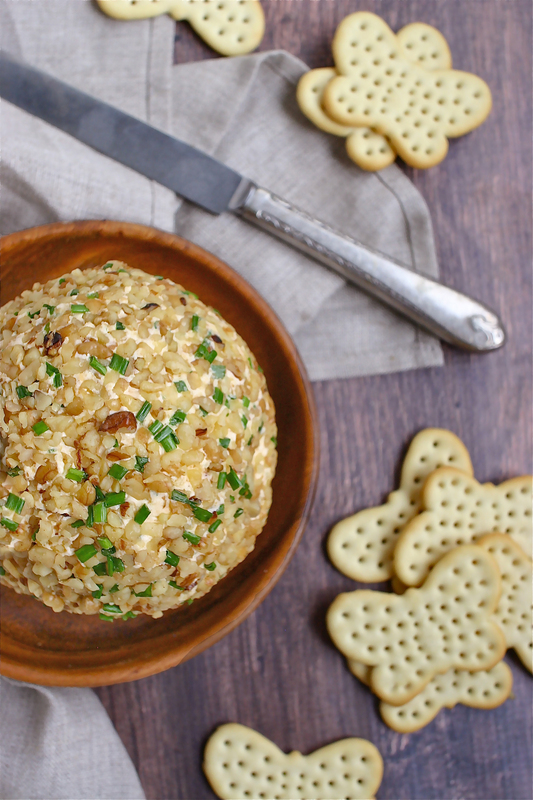 So, a few years back (still missing my Cheese Ball) I decided to figure out how to make it myself. I experimented with a few recipes until I figured out exactly how I wanted it to taste. It’s smooth, creamy, flavorful – just the perfect spreadable cheese. It’s also a great appetizer to bring to a party since it travels really well. Bottom line, make this. You won’t regret it. Combine the cream cheese, cheddar cheese, garlic and chives in a food processor and process until smooth (be careful not to over process). Scrape the cheese mixture into a bowl, cover with plastic wrap and chill for at least 1 hour. When the mixture has solidified, form it into one ball or two, depending on which size you desire (I usually make two smaller cheese balls out of this recipe). 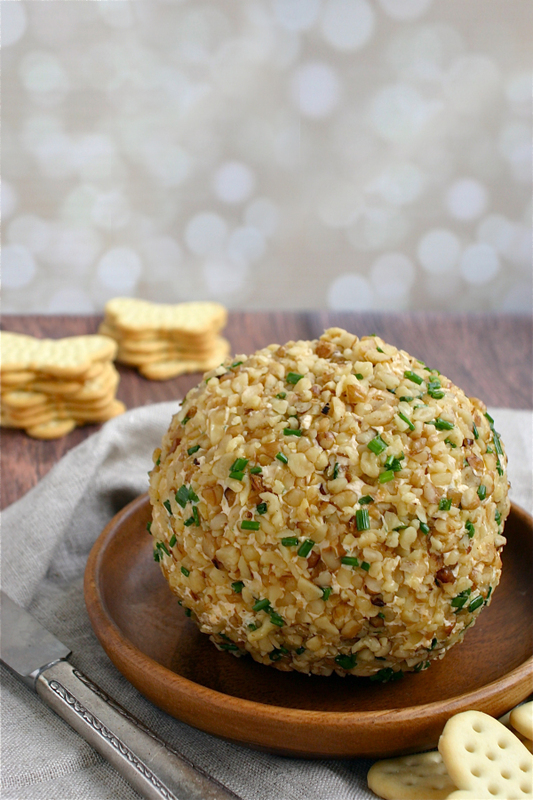 Combine the chopped nuts and tbsp of chives on a large plate and then roll the cheese ball in the nuts until it's totally coated - make sure the cheese ball is smooth before rolling. Once the ball is totally covered in the chopped nuts, wrap it in plastic wrap and then aluminum foil to preserve the shape of the ball and refrigerate until you're ready to serve it.